Equinix agreed to acquire Metronode, an Australian data center operator, for A$1.035 billion (US$792 million) in cash. Metronode has been fully owned by the Ontario Teachers’ Pension Plan since December 2016. Equinix said the deal expands its leadership position to connect some of Australia’s largest corporations, government agencies, telecommunication, high-growth global cloud service providers and IT service providers. The acquisition also continues Equinix’s global expansion strategy, including recent acquisitions and new construction in Washington, D.C., Silicon Valley, Singapore, Hong Kong, Amsterdam, Frankfurt, São Paulo, and other markets. When the deal closes in mid-2018, Equinix will have 40 data centers in Asia-Pacific and 200 data centers worldwide. Metronode claims 100% uptime across all its 10 data centers since it began operations in 2002. 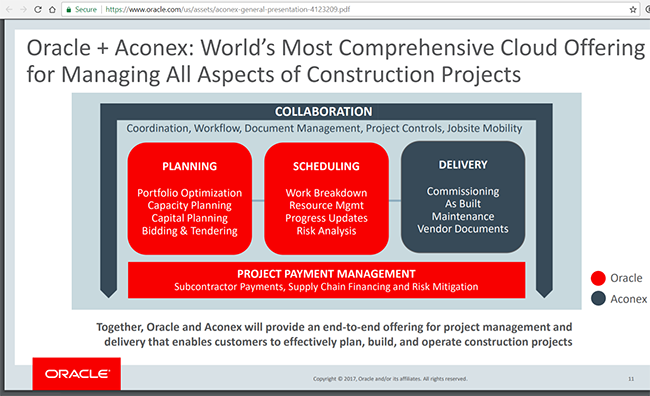 Oracle agreed to acquire Aconex Limited, which offers a cloud-based, team collaboration scheduler for construction projects, for A$7.80 per share in cash. The deal is valued at approximately US$1.2 billion, net of Aconex cash. The Aconex project collaboration solution, which is used by some 70,000 organizations worldwide for managing construction projects, connects owners, builders, and other teams. It provides visibility and management of data, documents, and costs across all stages of a construction project lifecycle. Aconex estimates that its software has been used in over $1 trillion in projects to date in over 70 countries. Aconex was founded in 2000. 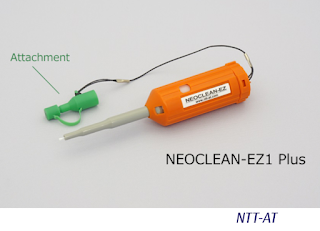 The company is based in Melbourne, Australia. Oracle also offers a Construction and Engineering Cloud to help customers in planning, scheduling and delivering large-scale projects. "Delivering projects on time and on budget are the highest strategic imperatives for any construction and engineering organization," said Mike Sicilia, SVP and GM, Construction and Engineering Global Business Unit, Oracle. "With the addition of Aconex, we significantly advance our vision of offering the most comprehensive cloud-based project management solution for this $14 trillion industry." "The Aconex and Oracle businesses are a great, natural fit and highly complementary in terms of vision, product, people, and geography," said Leigh Jasper, Founder and Chief Executive Officer, Aconex. "As co-founders of Aconex, both Rob Phillpot and I remain committed to the business and are excited about the opportunity to advance our collective vision on a larger scale, and the benefits this combination will deliver to our customers." Quintillion has activated commercial service on its new subsea fiber optic cable system serving five northern Alaska communities: Utqiaġvik, Wainwright, Point Hope, Nome, and Kotzebue. 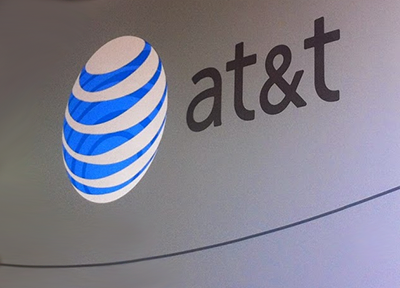 AT&T and the Communications Workers of America (CWA) reached a tentative agreement covering 20,000 employees in 36 states and the District of Columbia -- AT&T's Mobility Orange unit, which encompasses CWA Districts 1, 2-13, 4, 7 and 9. General wage increases of 2.25% effective Feb. 12, 2017; 3% effective Feb. 11, 2018; 2.25% effective Feb. 10, 2019; and 2.25% effective Feb. 9, 2020. Compounded wage increase over the four-year term of the offer will be over 10%, and employees in wage progression may see an even greater total increase over the term of the offer. AT&T Mobility retail workers will earn an average hourly wage of $19.20, about 74% more than the national average pay for retail workers. AT&T said its offer ensures a robust health care plan, with the company paying over 70% of the total costs including 100% of preventive care costs. CWA said the deal was reached after 11 months of mobilization, tough bargaining and a three-day strike. "After joining together and going on strike, AT&T Mobility workers have won a historic contract that sets a bold precedent for workers in the telecom industry. The solidarity and persistence of our members pushed the company to agree to crucial protections like stronger job security for retail workers and greater fairness in evaluation and discipline procedures that put our members and their families on a path towards greater economic security," said Dennis Trainor, CWA District 1 Vice President. "Let this be a sign to all companies that put profits above workers: when we stand together, we win," he said. “Our strong cash flows and outlook for the business allow us to raise our dividend for the 34th consecutive year. We’re committed to returning value to our shareholders, and we’re pleased to deliver yet again,” said Randall Stephenson, chairman and CEO, AT&T Inc.
EXFO has launched an all-cash voluntary tender offer to acquire all of the outstanding shares of Astellia, a provider of network and subscriber intelligence solutions for mobile operators. EXFO already holds 33.1% of Astellia's equity. The offer is proposed at a price of EUR 10 per Astellia share, valuing the entirety of Astellia's equity (on a fully diluted basis) at approximately €25.9 million. 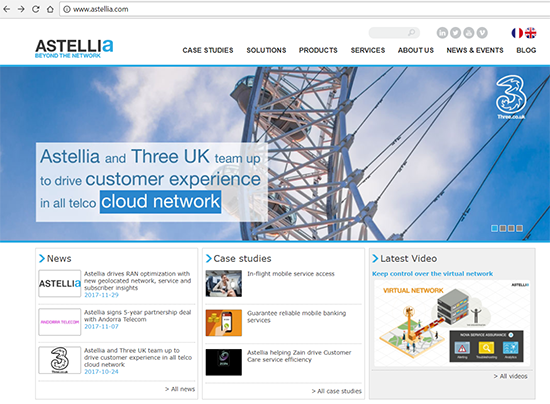 Astellia's real-time monitoring and troubleshooting solution optimizes networks end-to-end, from radio to core. The company is based in France with significant operations in Spain and a strong presence in Canada, Lebanon, Morocco and South Africa. "We aim to combine the two companies and create a global leader in the service assurance and analytics industry", said Germain Lamonde, EXFO's founder and Executive Chairman of the Board. 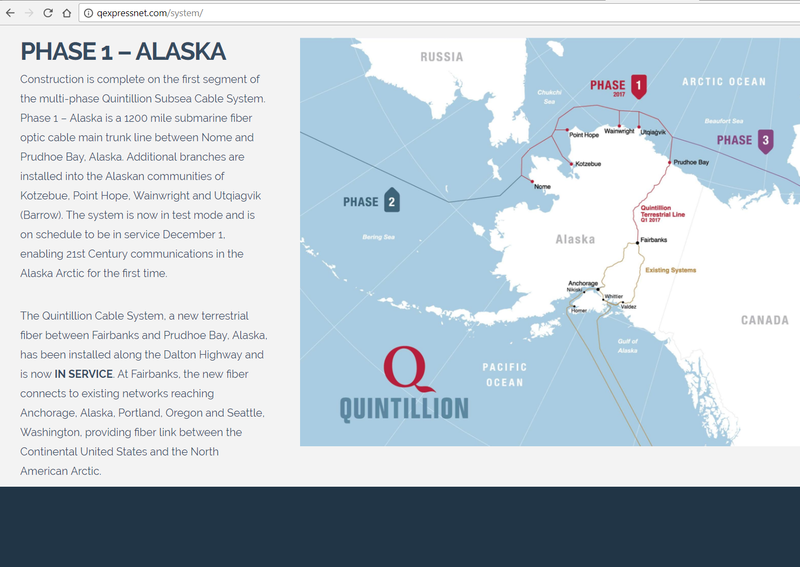 "Combining our complementary base of customers, technologies and competencies, as well as our similar corporate cultures, will enable the development of game-changing solutions and services within a large market in rapid transition—all this in the best interests of our customers, employees and shareholders." Harris Corporation delivered two advanced navigation payloads in 2017 to Lockheed Martin for use on GPS III satellites. The company is on track to deliver four more in 2018, and a total of ten units under its contract with Lockheed Martin. Harris’ navigation payload consists of a Mission Data Unit (MDU), featuring a unique 70-percent digital design that links atomic clocks, radiation-hardened computers and powerful transmitters – enabling signals three times more accurate than those on current GPS satellites. These payloads also boost satellite signal power, increase jamming resistance by eight times and help extend the satellite’s lifespan. Harris said the first payload, which was delivered earlier this year, is now fully integrated on the U.S. Air Force’s first GPS III satellite, GPS III SV01, which was declared Available for Launch in September, with an expected launch in 2018. 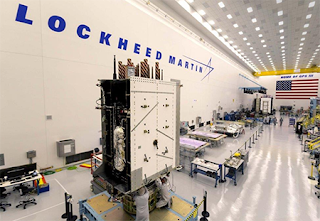 In November, Harris announced that it had completed development of a fully digital MDU for Lockheed Martin’s GPS III satellites 11 and beyond. The new SV 11+ payload design will provide enhanced capabilities and increased performance for the Air Force. Vantis Consulting Group (Vantis) has become the first partner in Hong Kong to join NTT Communications' Global Management One (GMOne) Managed Services Partner Program. 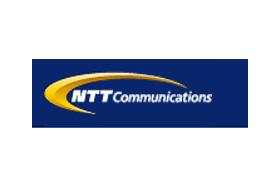 Vantis will resell NTT Com GMOne managed services, cloud and hosting solutions, and further integrates with their service offerings to meet enterprises’ growing hybrid ICT needs. GMOne managed services leverage NTT Com’s global resources for managing entire hybrid ICT ecosystems, from infrastructure, business applications to smart outsourcing. Vantis also participates in NTT Com's Enterprise Cloud Marketplace, which was launched last year.